Chauliodes rastricornis (Spring Fishfly) ♀. Size: approx. 60 mm. Photo: 08/21/14, 11 pm. Chauliodes rastricornis is a fishfly and can be easily distinguished from dobsonflies by the presence of antennae and jaws (mandibles). 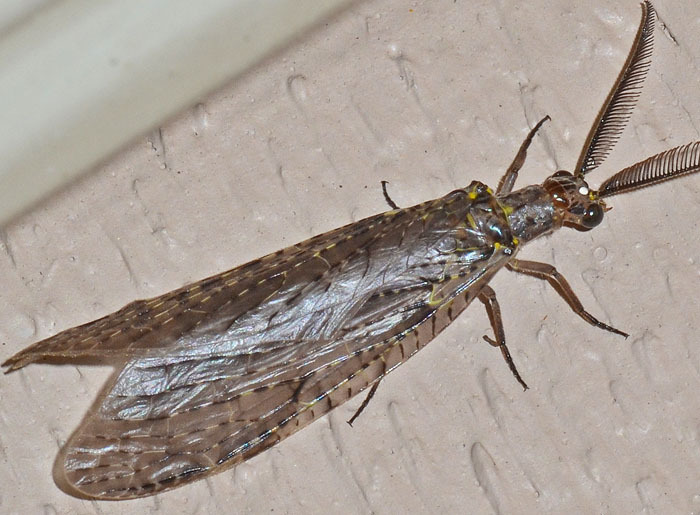 This is a large, striking insect. 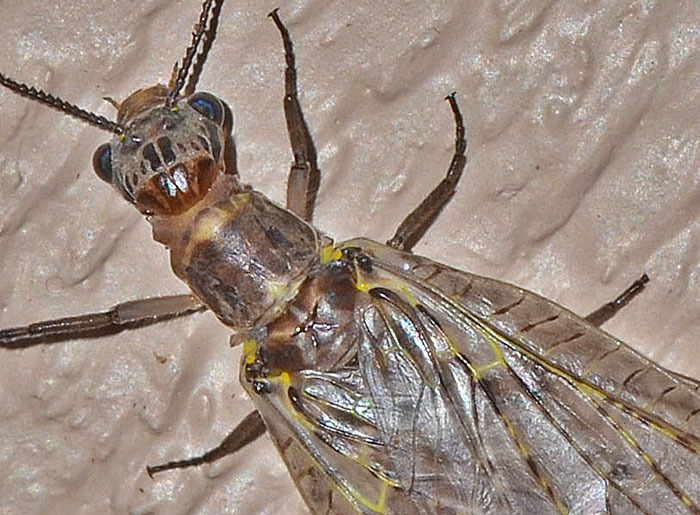 Adult fishflies seemingly do not feed and can be found close to slow moving bodies of water. Females have nearly linear antennae (see photo) whereas males have thick, comb-like ones. Chauliodes rastricornis (Spring Fishfly) ♂. Size: approx. 50 mm. Photo: 06/04/15, 10 pm. 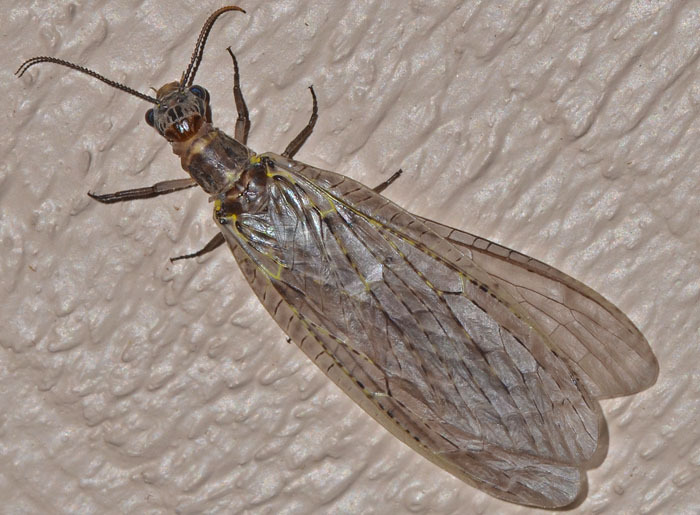 In Florida, Spring Fishflies can be found all year, while further north they are typically found in late Spring. Males (e.g this specimen) have pectinate antennae, whereas females have serrate antennae that seem quite plain by comparison.